Ariana Grande will make history in April as the youngest artist to ever headline Coachella festival at the age of 25. 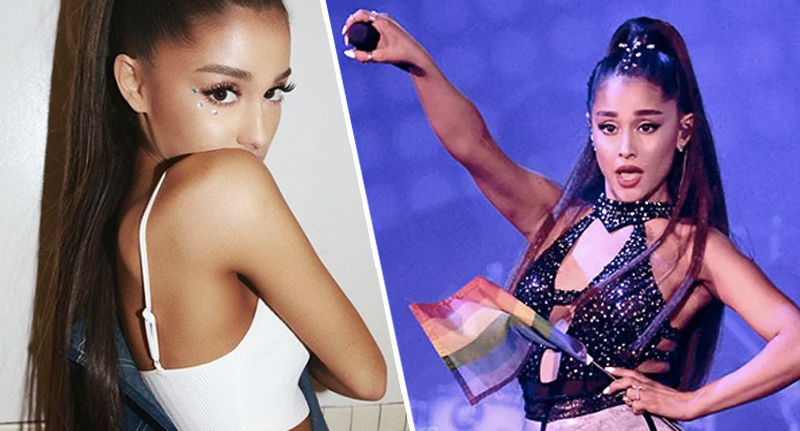 The Thank U, Next singer is also only the fourth woman to headline the iconic festival, following in the footsteps of stars Beyoncé, Lady Gaga, and Björk. Grande’s manager, Scooter Braun, congratulated the American singer-songwriter on his Instagram. Icelandic performer Bjork became the first female headliner in 2002, and played the festival again five years later, in 2007. A decade later in 2017 it was Lady Gaga’s turn. The Bad Romance singer replaced a then-pregnant Beyoncé, who made history last year, being the first woman of colour to headline in the Californian desert. On Wednesday (January 2, 2019), Goldenvoice – the festival’s organisers – announced 2019’s line-up, which includes Childish Gambino a.k.a Donald Glover, as well as Australian rock band, Tame Impala, who will also headline. As well as the headliners mentioned above, this year’s line-up will also include performances by Kid Cudi, J Balvin, Khalid, Juice WRLD, Playboi Carti, Ella Mai, Solange, and Gucci Mane Gang. Grande, who’s preparing to release her fifth studio album Thank U, Next, has been blessing fans with new music and visuals over the past several months, and fans think tracks off the record will feature heavily in her festival setlist. Grande told fans on Twitter yesterday (January 3), she was trying to get ‘something fun’ out, ‘tonight or tomorrow’, she later posted a link to ‘bloopers and deleted scenes’ from the Thank U, Next video. also, trying to get u something fun either tonight or tomorrow … ! 2019 is looking like a busy year for Grande. As well as her latest album release she’ll embark on her Sweetener World Tour this coming March, starting in the US before making her way to Europe in the summer, finishing in October. I’m really looking forward to embracing whatever happens and whatever comes my way. I’m really grateful for my friends and family. I love you guys so much. I’m really grateful for music. I have everything I’ve ever dreamt of having, and as of late I’ve discovered that it’s the things I’ve always had and the people I’ve always had that still make me the happiest. As well as Ariana, several female artists will also grace the stage at Coachella over its two-week span, including Janelle Monáe, Kacey Musgraves, Lizzo, Maggie Rogers, and Blackpink. Grammy-nominated DJ Sophie, who’s transgender and has produced music for Madonna and Charli XCX has also been added to the line-up. Coachella Valley Music and Arts Festival will take place April 12-14, and April 19-21, at the Empire Polo Club in Indio, California. Passes will go on sale this Friday on the festival’s official website.